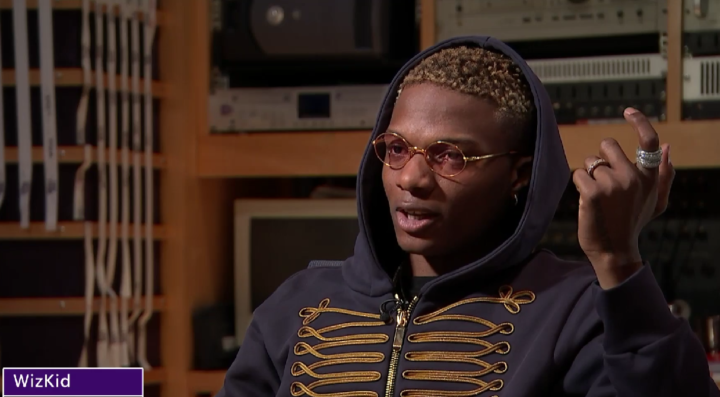 Wizkid had an interview recently with Channel 4 News, a British broadcasting television network. He spoke on different issues on African Music, Afrobeat and the influence of African sound to the international world but what took centre stage was his accent which didn’t go well with a lot of Nigerians. The interview was followed with a lot of backlashes as Nigerians troll the singer on social media for forming an accent that is not his, trying to form the British accent. Nigerians got no chill! Trust them when it comes to expressing their minds. They go all the way out. Wizkid really made a lot of insightful answers to the questions asked but Nigerians have decided to focus on the trivial aspect which is his accent.